JOB SUMMARY: To efficiently support the technical needs of staff within the museum environment. The IT department at the New-York Historical Society is an integral part of daily operations at N-YHS. Operating the IT equipment requires strict attention to detail and respect for the work environment. The N-YHS IT department bears multiple tasks that encompass a broad range of responsibilities, from assisting the individual user(s) to monitoring the day-to-day operations of all the equipment connected to the organization’s network. As such, becoming a full-time member of the N-YHS team requires a quick-thinking individual who possesses a refined communication skill set to compliment a foundational technical skill set. Verbal communication abilities are considered high priority in this employment opportunity. Lift up to 50lbs (speakers/removable stairs/stanchions). 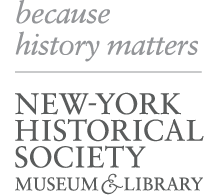 For consideration please send a cover letter, resume, and salary requirements to: resumes@nyhistory.org . Please reference the job title in the subject line.